The Worldwide Card Printers Market offers forecasts from 2018 to 2023 on key segments of the Card Printers marketplace from regions around the world. Transparency Market Research studied the global card printing ribbon market and forecasts mergers and acquisitions between highly competitive, leading players. HID Global showcased cloud-based solutions set to revolutionize campuses at the National Association of Campus Card Users 2018 conference in Reno, Nevada. 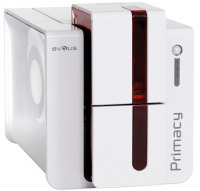 Zebra Technologies announced a new generation of intelligent card printers and card design software for security, retail, hospitality, education, and finance institutions. Magicard, a leading global manufacturer of ID card printers, appointed Ian Cliffe as chief executive, following a year of strong investment and growth. WHY SHOULD I CHOOSE IDESCO FOR MY ID NEEDS? 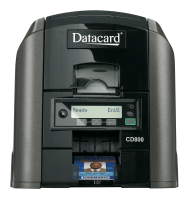 We have the largest selection of ID card solutions, including ID card printers, photo ID systems, ID card software, card printer supplies, ID cameras, and badge accessories. With our price match guarantee on all items, first-class customer service & support, and certified repair center, rest assured that you are getting the best deal when you partner with us. DOES IDESCO HAVE THE LOWEST PRICES? Yes, and we guarantee it. Other retailers may claim to have the lowest prices, but we still beat them every time. Our ID experts at Idesco are at your service. 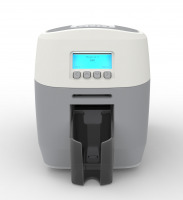 Whether you need a brand new ID card printer or supplies for your machine, we are here to assist you. Call us at 212-889-2530 for a free consultation with an ID expert. Most manufacturers offer a one-year warranty; you can find warranty information under "Specifications" for each product. 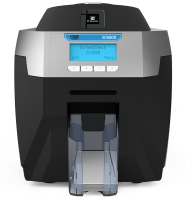 Idesco also offers extended warranties on printers we sell. Contact an ID expert at 212-889-2530 to discuss your warranty options.